I thought it would be helpful to create a page full of resources that you can always refer to for all of your jazz education needs. These are products that I personally use on a regular basis. I’ll keep adding to the list on a regular basis as I encounter more cool stuff. I recommend bookmarking the page for your reference and ease of learning. Enjoy these resources! 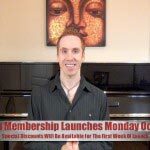 Steve’s all-in-one mega course Premium Jazz Lessons Elite Membership is finally here. 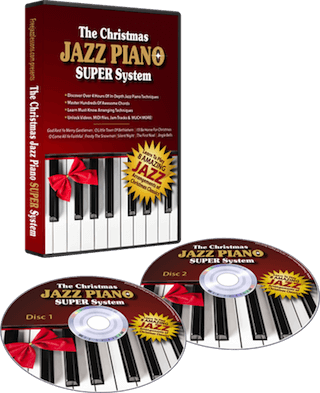 Get access to 5 killer libraries of jazz piano lessons. Songs library, chords library, licks library, improv drills, and pro jam tracks library. Steve’s Jazz Masters Method is now available on DVD and instant streaming! 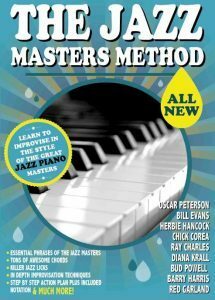 Learn the jazz improvisation techniques of 9 incredible jazz piano masters. Play like the jazz masters right now! 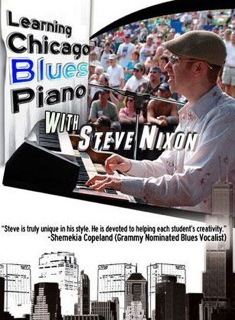 Steve’s Learn and Improvise Blues Piano Course now available on DVD. Take your blues playing to the next level. Study in the comfort of your own home. Already in 2nd printing! 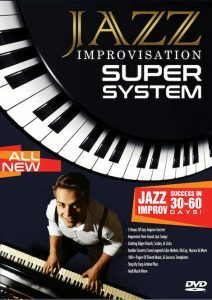 Learn how the the greatest jazz improvisers create endless streams of beautiful sounds. 5 hours mega course tough by jazz legend David Garfield. A complete A to Z blueprint for jazz improvisation success. 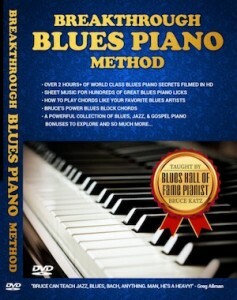 Want to unlock the playing secrets of 1 of the greatest pianist of the 20th century? Get This course is for you then. 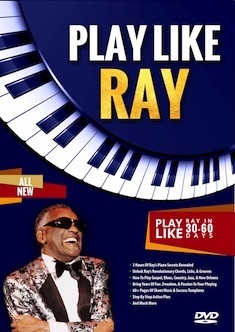 Discover how to play the chords, licks, grooves and amazing songs that made Ray Charles a piano legend. A complete tour of Ray’s approach to gospel, blues, country, jazz, New Orleans styles, and much more. Transcribe. The best software tool out there for transcribing and learning music off recordings. Slow down recordings without losing pitch. Loop them, analyze notes, tranpose recordings, karaoke type functions, and more. Please help support this site by making any future Amazon purchases you may have through this widget or when you purchase any of the recommended jazz materials below. A small % of the sale is credited back to freejazzlessons.com at no extra cost to you. Barry Harris Workshop DVD Learn jazz from the source! An amazing master class taught by one of the best jazz piano players of all time. I’ve learned a ton from Barry Harris! This is a 4 DVD set and it comes with a book filled with tons of notated examples so it’s easy for you to learn from. 1. The Swing Era – 1936-1947 (Jazz Bible Fake Books) Great collection of well notated and popular jazz standards to learn. 2. Jazz of the 50’s (Jazz Bible Fake Book Series) I work from this fake book daily. Tunes from this fake book are called all the time. So many in here are must know. 3. 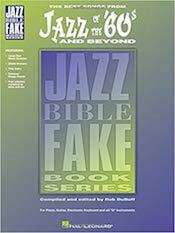 Hal Leonard Jazz of the 60’s And Beyond: Bible Fake Book Series Really nice collection of popular jazz tunes from the 60’s era. Tunes like Giant Steps, Black Coffee, All Blues and etc. 4. The Real Book: Sixth Edition The industry standard! Definitely a must in your jazz education library.
. The New Real Book (in C) The other jazz industry standard. For many years this was “the” fakebook. Lead sheets are clearly written. Easy to learn from! 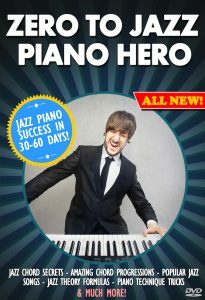 www.pianolessonsonline.com Steve’s brand new other website where you can learn beginner piano lessons, rock piano lessons, R&B piano lessons, country piano lessons, piano chords, and more. New lessons are posted regularly on there.